Hi! 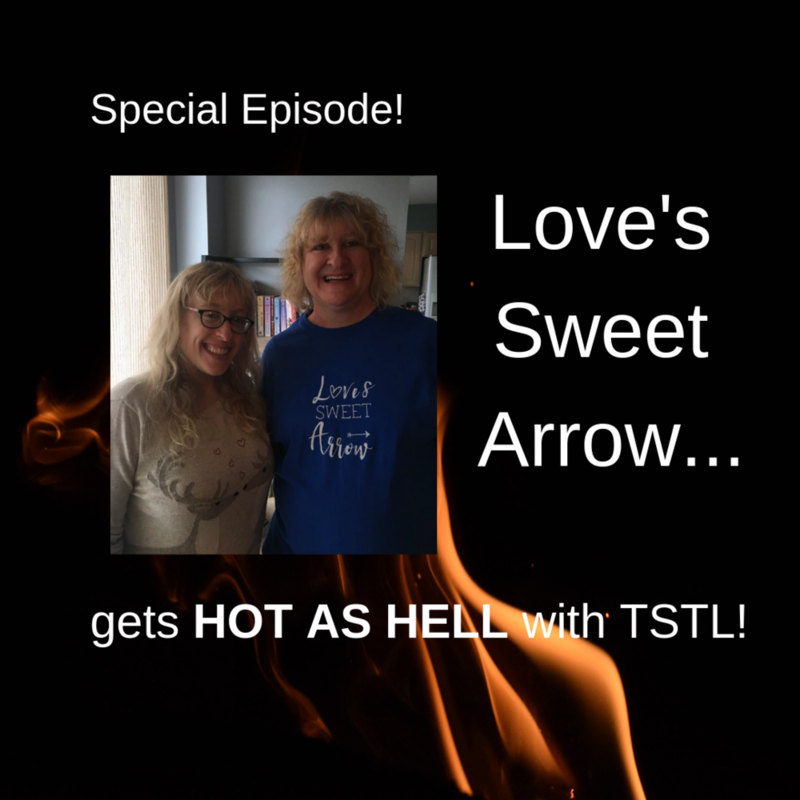 Becky here and I’m thrilled to introduce a new series of TSTL episodes called HOT as HELL with TSTL! In these episodes, I plan on talking about (and maybe digressing from) all things romance along with some special guests. And this inaugural episode is rated… uh… a DIFFERENT kind of family-friendly. Mother-daughter duo Roseann and Marissa Backlin join the show to discuss their Kickstarter campaign to open Love’s Sweet Arrow – a romance-only bookstore in the Chicago area. Listen on iTunes, Stitcher, Spotify, Google Play or on SoundCloud. Donate to Love’s Sweet Arrow’s Kickstarter! Newer PostNew Episode! Act Like It with Boobies and Noobies!